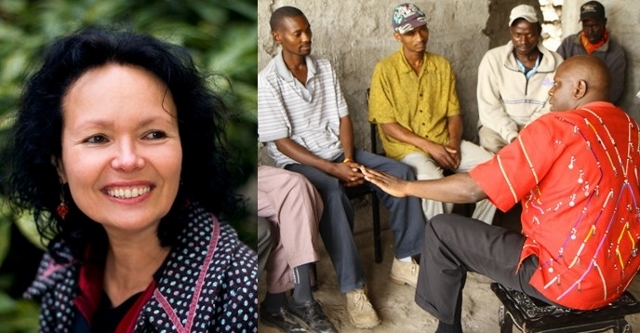 UNESCO Director-General Audrey Azoulay will award the 2018 edition of the UNESCO-Madanjeet Singh Prize for the Promotion of Tolerance and Non-violence to filmmaker Manon Barbeau (Canada) and the NGO The Coexist Initiative (Kenya). The award ceremony will take place at UNESCO Headquarters in Paris on 16 November 2018. An international jury recommended the two laureates in recognition of their work in human rights, promotion of tolerance and inclusion. Manon Barbeau, an innovative social entrepreneur and filmmaker, is awarded for her defense of human rights and tolerance through the art of cinema and a wide range of activities that she develops through Wapikoni Mobile Studios, amplifying the voices of indigenous people. Wapikoni hosts educational workshops and film screenings to raise awareness and educate the wider public about indigenous cultures, languages and identities. It also provides mentorship and capacity building in audiovisual creation to indigenous youth, allowing them to master digital tools by directing short films and musical works. The Coexist Initiative is awarded the Prize for its promotion of gender equality, social justice and human rights, with particular focus on women and girls. The Coexist Initiative is a non-profit organization working to end violence against women, particularly through an approach that tackles harmful cultural practices and negative stereotypes based on gender. It moreover advocates for the rights and empowerment of women and girls by better involving men, boys and community leaders in the work of the association. Celebrating its 22th anniversary this year, the UNESCO-Madanjeet Singh Prize for the Promotion of Tolerance and Non-Violence aims to advance the spirit of tolerance in arts, education, culture, science and communication. The Prize is awarded every two years to individuals or institutions for their exceptional contributions to the promotion of tolerance and non-violence. The US$ 100,000 monetary value of the Prize will be divided equally between the two laureates.